It started during a cab ride last spring. On a two-week medical mission to southern Turkey, Mayo Clinic residents Allen Swanson, M.D., Waleed Brinjikji, M.D., and Paul Heideman, M.D., started thinking out loud. They'd been performing ultrasounds for Syrian refugees caught in that country's civil war, which gave them a front-row seat to the benefits radiology services can have in a "resource poor" environment. Wanting to do more, for more people, they began discussing the possibility of doing teleradiology humanitarian work once they returned to Rochester. 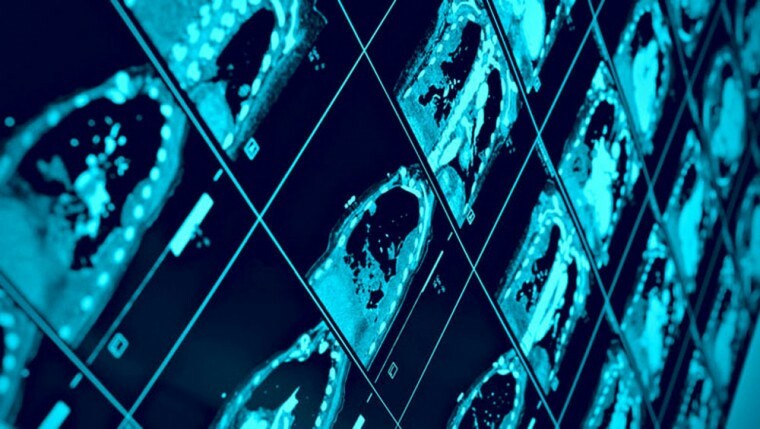 Given the wide availability of the Internet, they say, it just made sense that radiologists would be able to interpret images and help clinicians in the diagnosis and management of difficult cases from afar. Once they got back to Rochester, the trio began asking around campus and discovered that another Mayo physician, Michael Ringler, M.D., knew some folks from the International Radiology Exchange (or iRadX for a short), a humanitarian organization that provides radiology services for the Hôspital Universitaire de Mirebalais, in Haiti. Dr. Ringler put Drs. Swanson, Brinjikji and Heideman in touch with his contacts at iRadX, and a new partnership was born. A team of "10 to 12" Mayo radiologists and residents now spend two evenings a month helping to read CT scans for the Haitian hospital. "Images are transmitted to an online platform that allows us to read the CTs," according to Drs. Swanson and Brinjikji. "When the CT report is generated, it's sent to the managing physician in Haiti, who uses the findings to manage his or her patients." And while the group is currently able to read "40 to 50 scans" a month, Drs. Swanson and Brinjikji say they'd like to do more. "We're hoping to increase our level of volunteering and are currently speaking to iRadX about going to Haiti to teach some courses on CT interpretation and contrast administration in the future," they say. While the program's most obvious benefit has been the ability of Mayo's radiologists and residents to share their CT interpretation skills to help patients in an underserved part of the world, Mayo's Terri Vrtiska, M.D., says she and the other volunteers have also been learning a thing or two along the way. "It's been a great learning experience for both the residents and participating staff," she says. "I especially like the educational aspect of both learning how technology can be used to improve health care in underserved areas as well as learning more about diseases unique to these populations that we aren't as familiar with here in Rochester. " Drs. Swanson and Brinjikji say many of the patients are simply looking for answers, just like the many patients who come to Mayo Clinic every year. "A vast majority have been very sick, with advanced manifestations of their illness," they say. "We feel obligated as physicians to do what we can to help, and by providing quality CT reads we're improving the quality of care these patients are receiving."